Bunny Express at the Colorado Railroad Museum – The whole family can hop on the Bunny Express Train, featuring an 1880s vintage passenger coach. 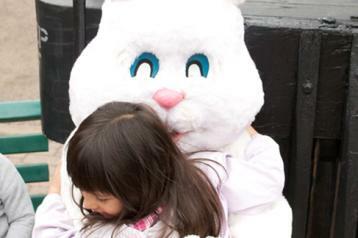 Meet the Easter Bunny and Spike the Railroad Dog. Join in the fun of Egg Rolling, Bean Bag Toss, Coloring Zone and Ladder Golf. Enjoy the entertainment of balloon twisters, face painters, stilt walkers, jugglers and turntable demonstrations. Infinitus Pie, Bob&apos;s Roasted Nuts and Kona Shave Ice will be providing tasty and healthy cuisine in their pavilion. Fill your Easter Baskets with candy, toys, temporary tattoos and gifts from the Depot Gift Store. Admission: Museum members and Children under 2 are free, $20 Adults, $10 Children (ages 2-15) and $15 Seniors (ages 60+). 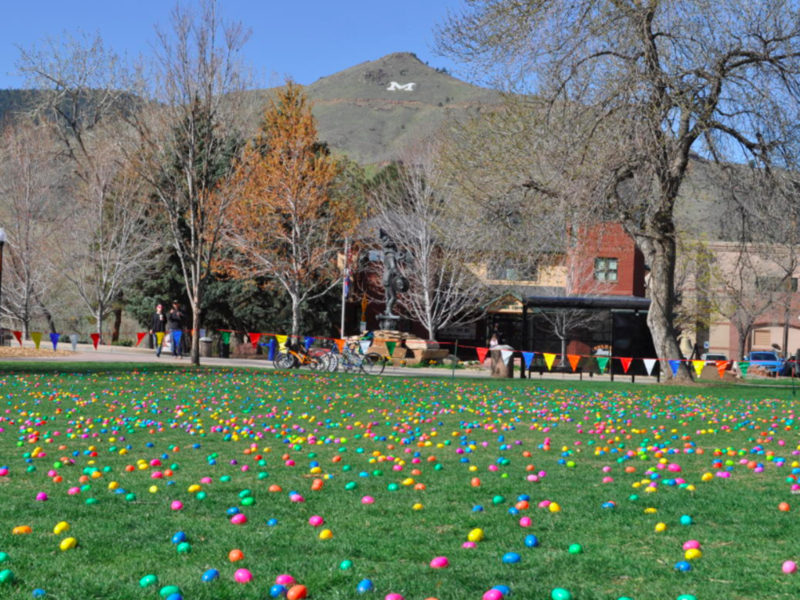 Golden Family Easter Egg Hunt – Starting promptly at 10 a.m on April 20th, Golden’s Family Easter Egg Hunt features thousands of colorful stuffed eggs spread throughout Parfet Park. The hunt is open to kids ages 9 and under and starts at 10 a.m. sharp. Easter Celebration Brunch at the Bridgewater Grill at the Golden Hotel – Make reservations now for this indulgent Easter brunch buffet, featuring chef carving stations, a farm stand salad bar, traditional ham, seafood selections, ample side dishes and more. Serving on Easter Sunday from 10:30 a.m. – 3:30 p.m. Advance reservations are required. Table Mountain Inn Easter Brunch Buffet -- From 10 am - 4 pm on Easter Sunday, Table Mountain Inn is serving a delicious Easter Brunch which features a full buffet, omelet station, carving stations with spiral cut ham and roasted leg of lamb, chilled seafood display, assorted desserts and a kids&apos; buffet. EGGstravaganza at The Buffalo Rose - 10:50 am SHARP. (Doors at 10:30) Egg hunt through the freshly remodeled event center. Kids activities and more! 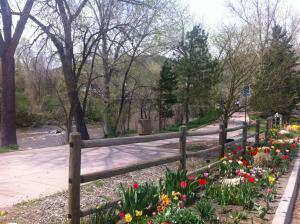 Walk along Clear Creek and enjoy the spring flowers and budding trees. Catch a performance of Three Billy Goats Gruff at Miners Alley Children’s Theater. The show runs on Saturdays through April 27th. Check out a bike from the Golden’s Bike Library, which opens April 18th. Visit the Rocky Mountain Quilt Museum, where on April 22nd, Hawaiian Quilts from the Private Collection of Henry Hite will be on display. Enjoy a special meal at one of Golden’s many restaurants. Check out visitgolden.com for more ideas for springtime fun in Golden. Happy Easter!